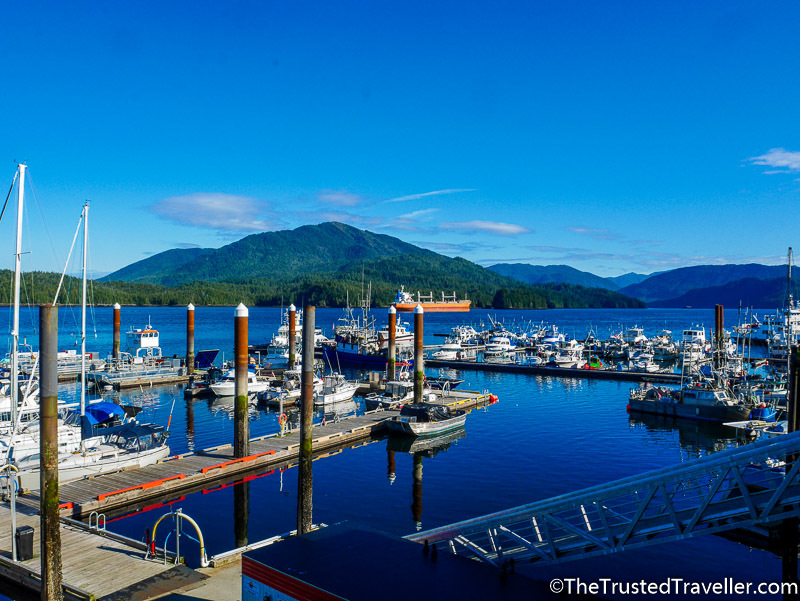 Tucked away on British Columbia’s northwest coast is the port city of Prince Rupert. 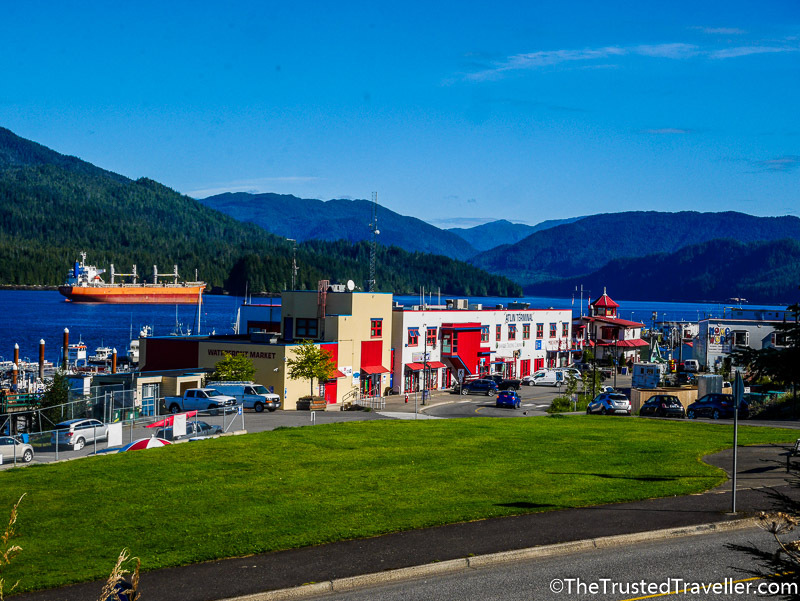 Gateway to seemingly untouched wilderness areas and an important port for trade coming in and out of Canada, Prince Rupert is a popular stop on the Inside Passage route and the starting point of the Skeena train east to Prince George and Jasper. All this means that Prince Rupert is a popular destination for backpacking adventure lovers to visit as they tour around Canada. Of course where there are backpackers, there is the need for plenty of facilities to cater for their needs. 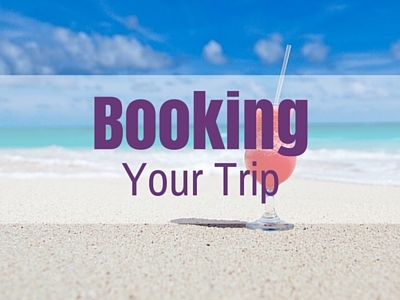 Starting with a clean, cheap and friendly place to stay. 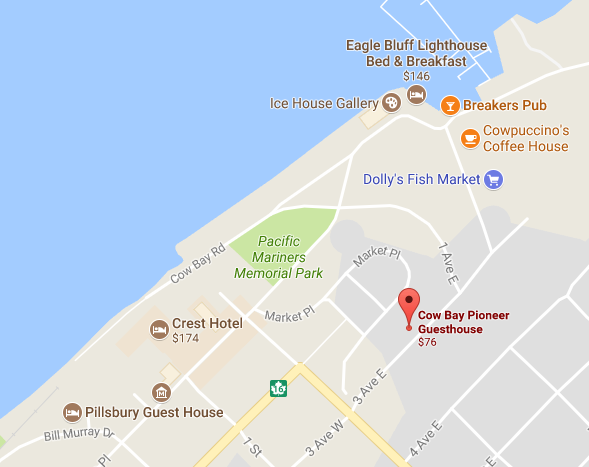 If you are thinking of heading to Prince Rupert and looking for exactly that, then you can’t go past the HI Prince Rupert Pioneer Guesthouse. 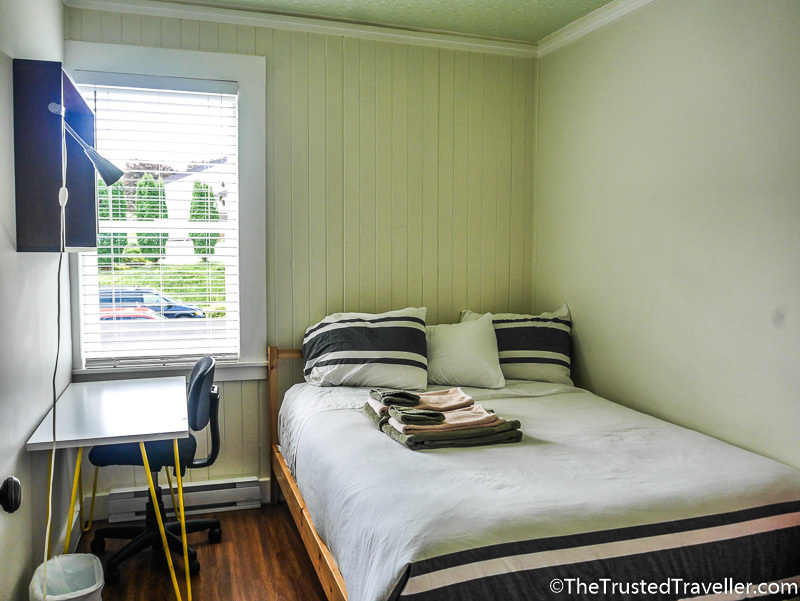 Read on to find out why I think this is the best place to stay for backpackers (and really most budget travellers) in Prince Rupert. 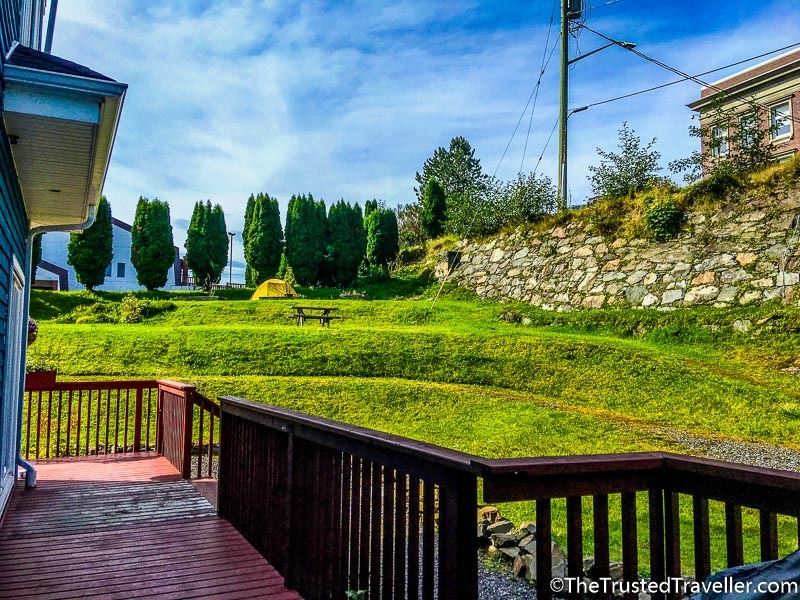 First of all, you want a good location and HI Prince Rupert Pioneer Guesthouse ticks this box. 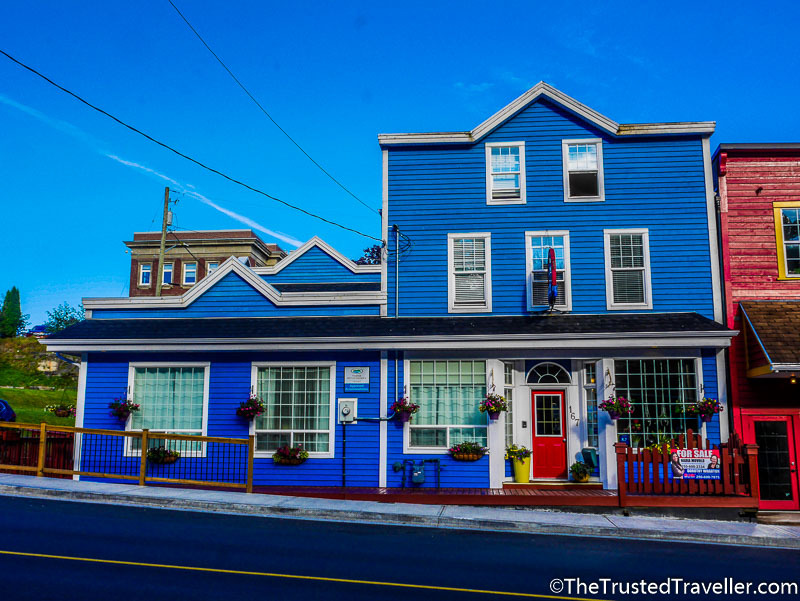 Located on 3rd Avenue, the guesthouse is just a few minutes walk to both Cow Bay, popular for scenic water views, great places to eat and drink and local artisan stores; and the downtown area where you’ll find all the amenities you could need, from supermarkets and pharmacies to more great places to eat and drink and even a small cinema. In the Cow Bay area you’ll find Wheelhouse Brewing, a popular local craft brewery that is full of rustic charm. Closer to the waterfront is Cowpuccino’s, the best place in town to grab a coffee and muffin for breakfast. And right on the waterfront is Fukusaku Japanese Restaurant where you can eat delicious local salmon and other delicious Japanese dishes. Because the hostel is just away from the downtown area, the surrounding streets are quiet with little traffic and few people around, so it feels like you are in your own little hideaway. If you’re lucky enough to get a room facing southeast, you’ll enjoy a nice view of the houses clinging to the hill behind town. Pulling up out the front in a taxi, my first impression of HI Prince Rupert was that it is so darn quaint. 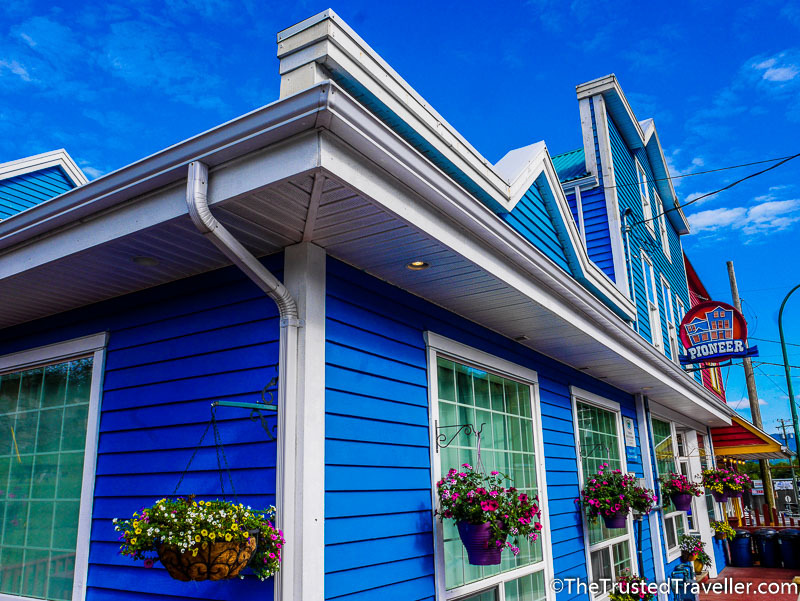 With a bright blue paint job and hanging flower baskets bursting with colour, it is hard to miss. Stepping inside, I straight away felt like I was coming home. 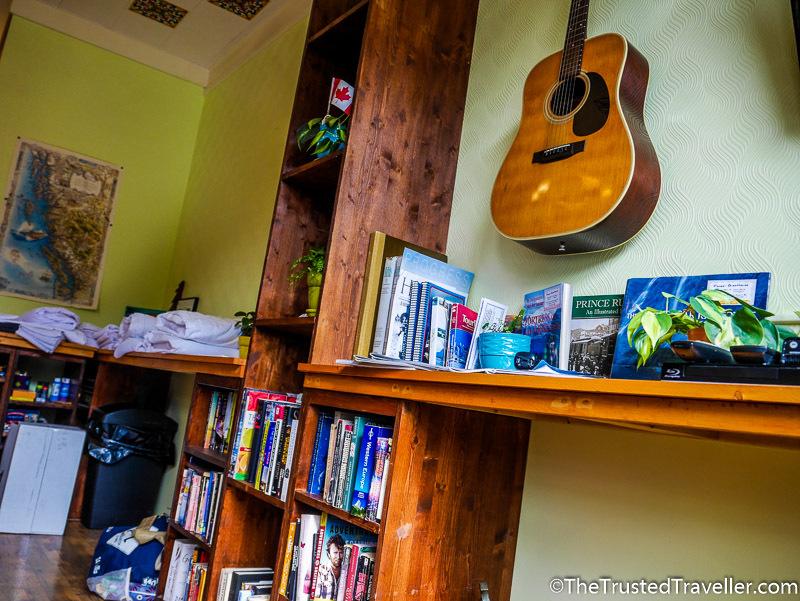 The warm and inviting setting that is the communal lounge is home to two big comfy couches, bookcases full of books, board games, information boards with details on local things to see and places to eat and a guitar hanging on the wall. During my three night stay there was always someone in the lounge area to chat with and I even got to enjoy another travellers soulful guitar playing while relaxing after a big walk around town. Heading through the lounge and to the back of the guesthouse there is a big and bright kitchen and dining area which leads out to a small deck and grassed area with picnic tables. The kitchen is fully equipped with everything you would find in your kitchen at home. 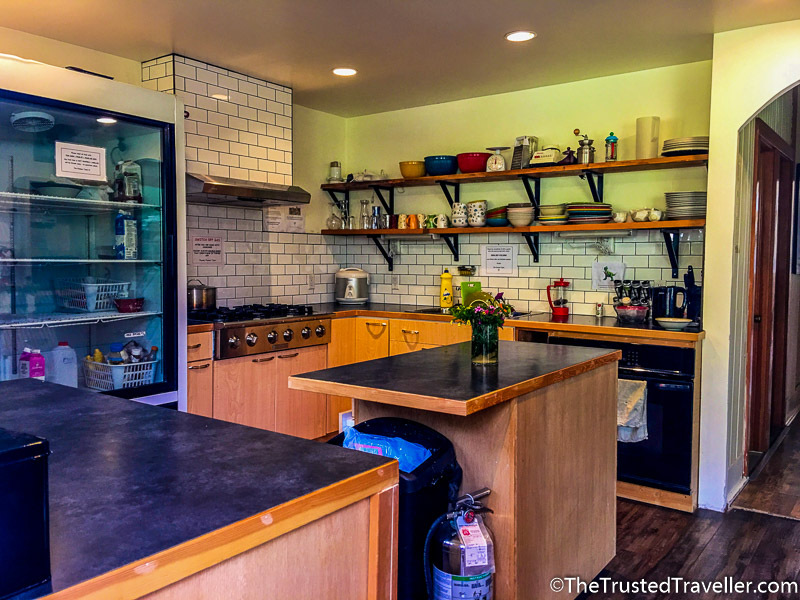 A big oven, stove top, kettle, microwave and ample cooking utensils. You could easily whip up a three-course meal, the kitchen is that great. 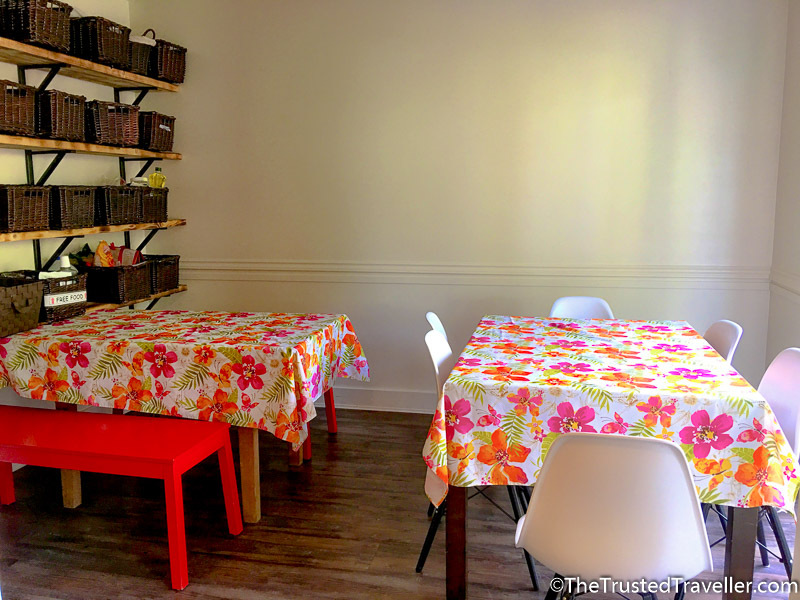 The sunny dining room is simple but there is plenty of seating, food storage and colourful flower covered table cloths that make the area feel that bit more homely. While it was a little too wet and cold during most of my stay to enjoy the outside area, I imagine on a sunny day, especially in summer when days are long, that it would be a great place to enjoy a meal with fellow travellers and swap stories. Straightaway when I entered my double private room, I knew that the owners of Pioneer Guesthouse had really thought about both the hard and soft furnishings in the room. While the room was a little small, the layout and furniture helped to make up for this. Shelving above the desk and an open wardrobe style hanger made use of the space without getting in the way. A locker at the end of the bed was good for storing valuables and there was just enough room at the foot of the bed for my bag. It was a nice touch having a desk by the window which I enjoyed briefly working at and looking up the hill at the houses. But the very best part of the room was the bed. After two weeks of some pretty average cheap hotel beds, it was a real treat and an unexpected surprise to have one of the most comfortable mattresses I’ve ever slept on, in a hostel. Just the right amount of softness with high quality bedding. This included a separate top and bottom sheet (hostel people will know how rare this is!) and a nicely weighted doona which was lovely and cozy for the sudden drop in temperature outside. My room had shared facilities down the hall with access to three bathrooms. I used them all at some stage during my stay and each looked newly remodeled and immaculately clean. Another anomaly with hostels is bad water pressure but again, Pioneer Guesthouse surprised me with the best pressure I’d experienced so far on this trip. 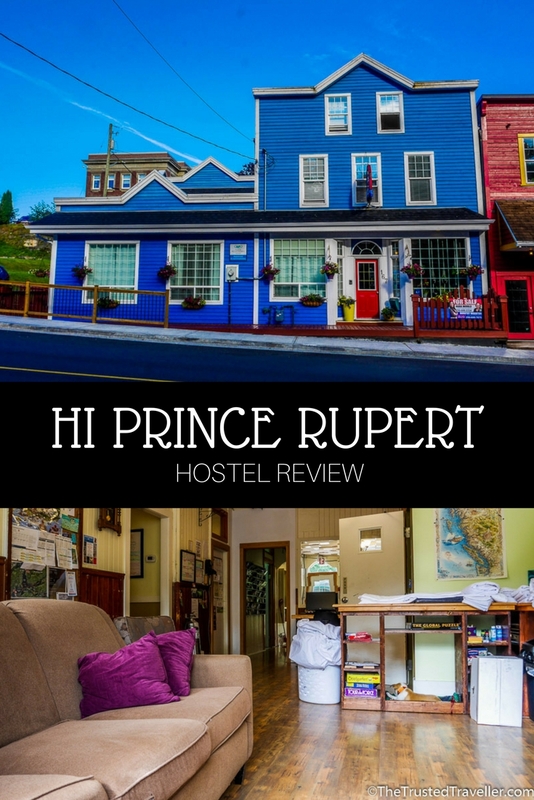 My stay at HI Prince Rupert Pioneer Guesthouse was one of the loveliest hostel experiences I have had and I wouldn’t hesitate recommending it to other solo travellers (of all ages) and those travelling as a couple or group. Its quaintness and homey feeling was more than enough to make me not want to leave. 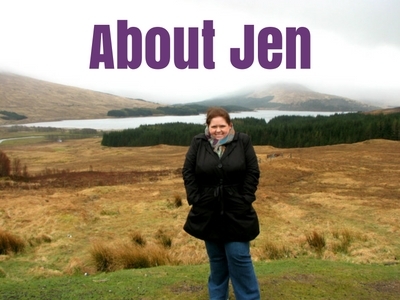 The staff was always helpful and friendly and made me feel right at home. Rooms: 4 and 8 bed dorms perfect for budget minded travellers | triple, twin and double private rooms with shared bathroom perfect for travelling friends and couples | private double en-suite rooms with TV perfect for couples and those who want a little more privacy | a two bedroom apartment perfect for families or small groups. 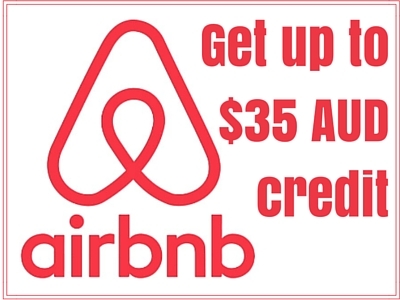 Rates: Prices range from $25 CAD per night for a bed in a dorm to a two bedroom apartment for $170 CAD per night. 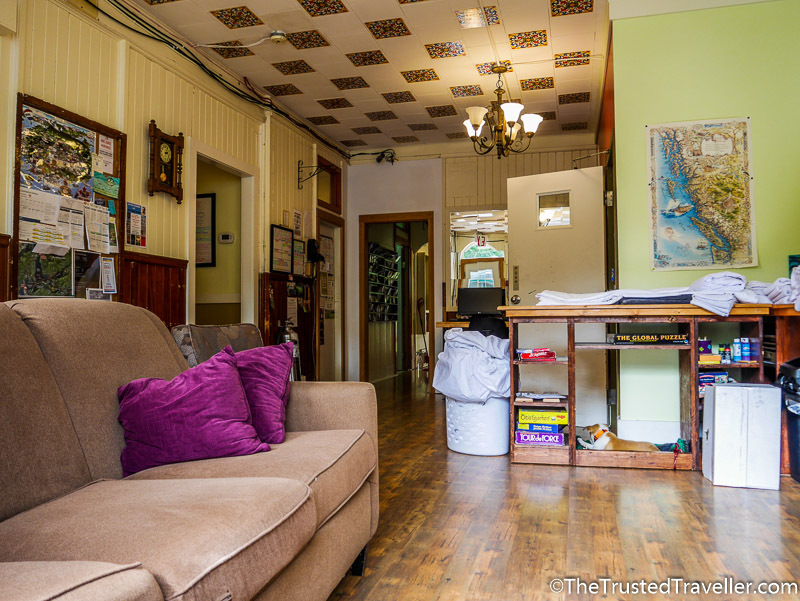 Too book your stay at HI Prince Rupert Pioneer Guesthouse, visit the HI Hostels website. 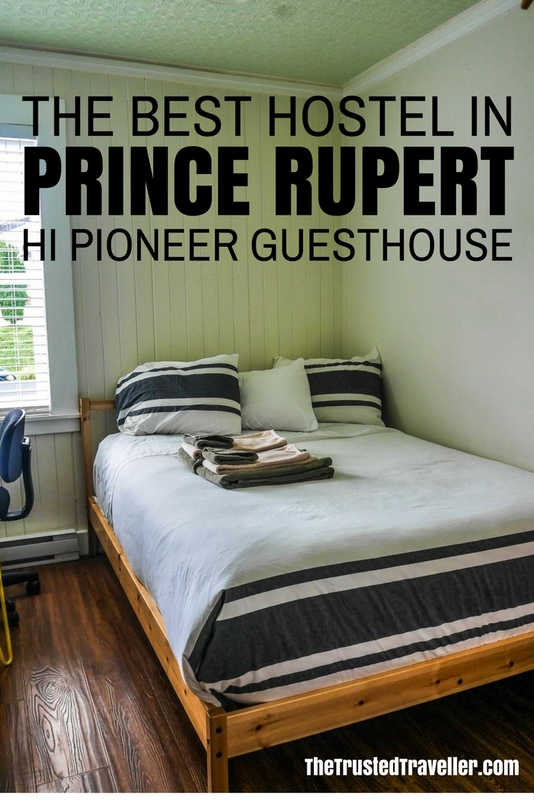 Does HI Prince Rupert sound like the type of place you’d like to stay in Prince Rupert? The BC Ferries inside Passage Day cruise Very nicely done with lots of nice travel tips and details. start location Port Hardy Canada. I would be coming in from Billingham USA or other better options. Please briefly out line a couple of suggestion options. Bus or boat? I took the Tofino Express bus from Campbell River but you can aslo take the same bus from Victoria or Vancouver.